Thanks for this. 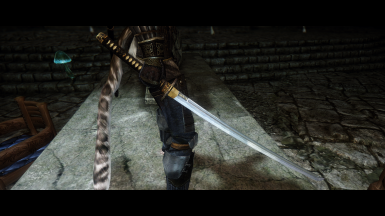 They go well with the Ancient Blades Armor I picked up in Bruma. im trying to figure out how you got that race i havent seen anyting quite like it i think it looks great got a link? This is Eiries Ohmes-Ragt Khajiit. True, it is slightly modernized. There is physics and so on. I found her at Lovers Lab. Although there is a Nexus like. Nice Mod! I will love have that armor to do you have a link? 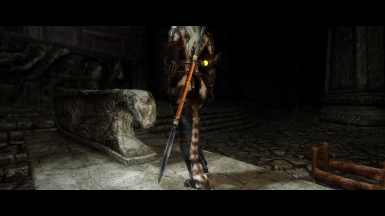 I'm playing with this mod https://www.nexusmods.com/skyrim/mods/76047/?, but you can find a separate mod and other builds. Author Nisetanaka. 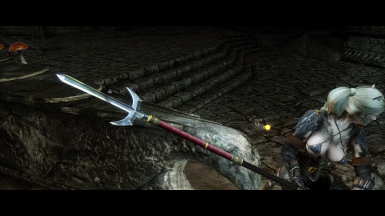 For the single-edged version of the staff, think of a halberd, or better, the Ashandarei of the Wheel of Time series. 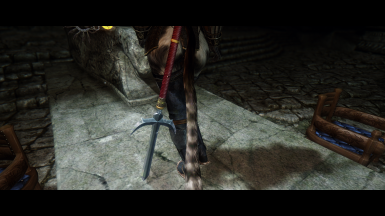 A staff with a foot-long single-edged blade at the end. This version, as stated before, needs to shorter. 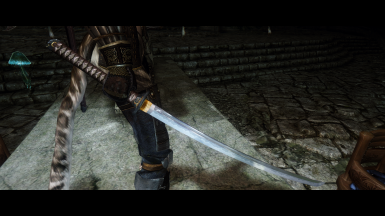 A really wicked weapon, more than equal to a sword. 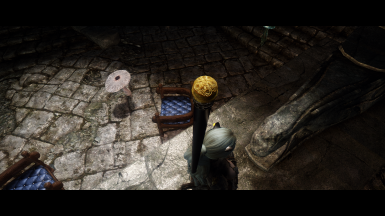 A staff with a blade on the end. In the Wheel of Time series, Matt--completely untrained-- defeats a Sword-Master using this weapon. Remember the movie/book/story, "Robin Hood," with Errol Flynn? Little John, using a staff, fights to a draw with swordsman Robin Hood [Hollywood concession: the hero cannot die]. If Little John had had an Ashandarei, Robin Hood would have died. In seconds. If you add some weapon-speed to the single-blade version, that would be Lore & Historically accurate, and make that weapon the real nasty implement it was. These spears correspond to their counterparts from reality. 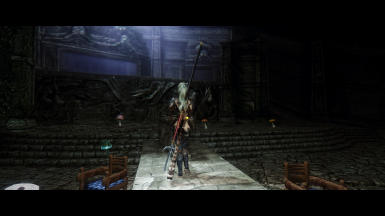 Just my character is very small. And so everything is within the law. You read about the Japanese spears yari. I agree, in the game it is not very convenient, but it looks beautiful. If you do not start them to shred enemies. I'll think about how to shorten them. I promise, but what comes out of this will only be known to Talos. 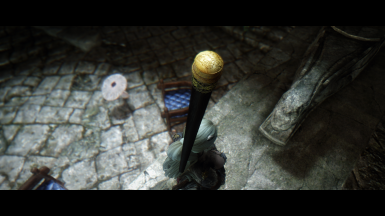 After playing with this for a while, and looking at some quarterstaff mods, I'm OK with the length. 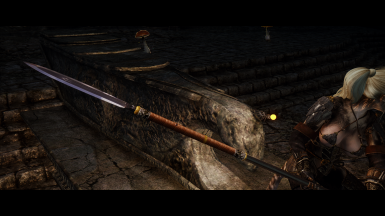 Could not find any quarterstaff animations, though. I told you that weapons are canons. The matter of habit is simple. And the animation for him was somewhere. 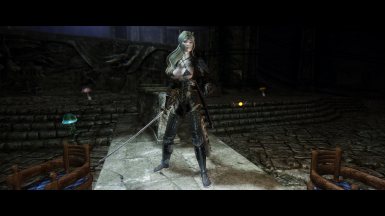 But it also replaced the animation of the ax, which is not good. In general, the dilemma. I decided for myself that I will not fight them, but only take pictures with him. In order not to spoil the positive impressions. Thank you for your feedback! Have a good game! 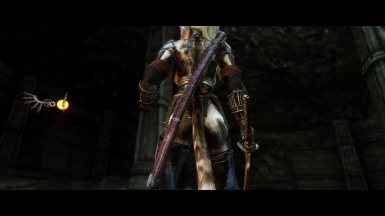 I love it, and congrats on a lovely mod; but I do have one minor request; could you do a version with shorter handles for the spear/polearm category of weapons? 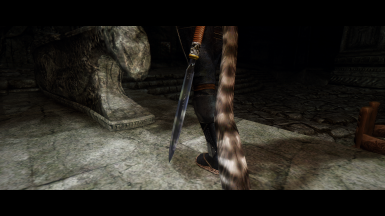 The problem I've encountered with these in the past is they use Skyrim battleaxe animations, which look rather odd with very long handles. To give you an idea, something like the handle of the Glass Battleaxe is optimum length. 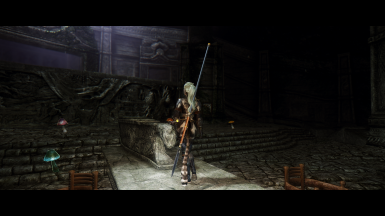 Thanks so much for your time, effort, and a great mod--people like you continue to keep Skyrim alive and vibrant! Thank you! 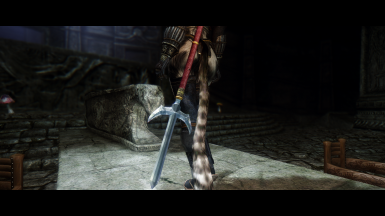 For me Skyrim is more than just a game. In occasion of that to alter models of the weapon - I the simple translator and only. I can do some simple operations with mods, but in models I do not understand at all. Maybe someone will tell me from friends, but it's not certain. In any case, I will keep in mind. Oh goodie, this will free up a few .esp spots for me, I use these all individually already. Thanks for doing this! Maybe better will be add optional esp. with higher requirements for craft, rather than lower dmg. 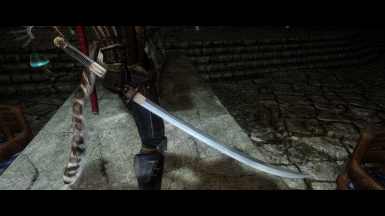 Because those weapons looks as something high lvl from glass/ebony section. Maybe you're right. I'll check in at the CK in the evening. I hope my little knowledge is enough to do this.